Our house is starting to look really great! We finished painting the indoors woodwork and I moved on to painting the upstairs radiators and we did the backside of the stairs which was dark brown. Things are white, whiter, whitest. I will blog soon about my extensive adventures in yoga (spent over 30 hours on it in the last three weeks), after a two year hiatus I started writing again for the dutch belly dance magazine (will be out tomorrow) and I am working through my pile of to-do sewing stuff. I haven’t planned moving all my stuff to the new house yet, but my untention is to reduce clutter as much as possible before moving. 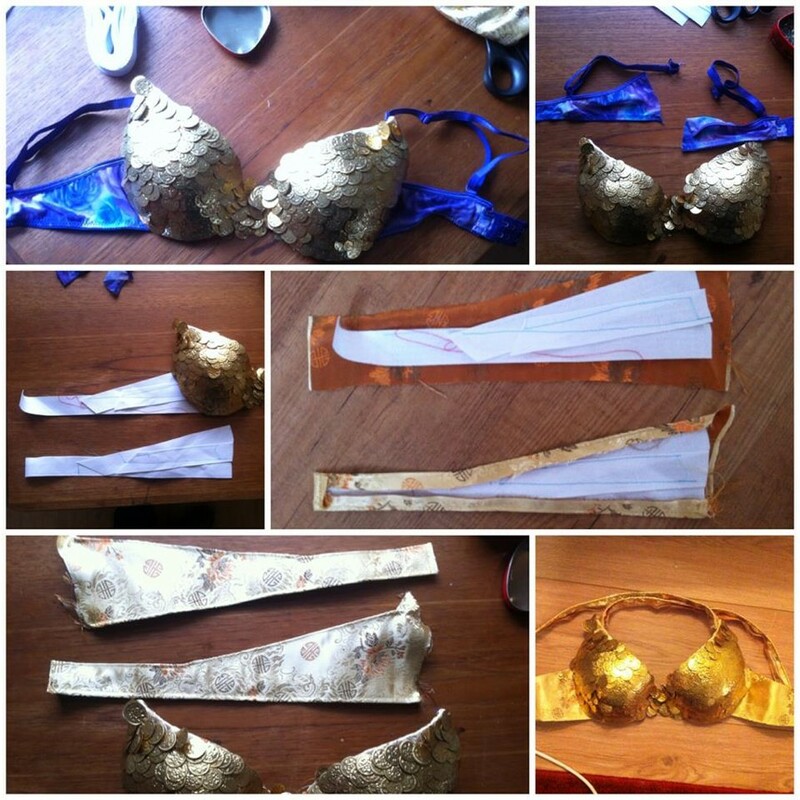 I mad this coin bra in 2007 as a part of my old school cabaret costume. Paired with pink chiffon harem pants, a purple satin circleskirt and a purple brocade turkish vest, it was cute as a button. It also was unlined and had the original elastic bra straps because I was pushed for time. You know how these things go, why change something that works? Last year I pneeded a bra underneath my low cut beledi dress, and I noticed that the elastic straps really weren’t working any more. Thus I replaced them with grossgrain ribbon straps and I am now in the proces of adding the lining. 2014 will be a fine year for costuming and I will post more about my costuming adventures on a regular base, both here, on bhuz and on facebook. Do you have plans for costuming in 2014? It’s been a while since I posted something about costumes with pictures. Since I had the evening off and fixed my urban tribal/gothic pants, I decided to dress up and take some pictures in the livingroom. yay for tripods and timers.